Dorothy Hunter, 109, sits in her apartment at an assisted living facility in Ballwin. Hunter, a retired teacher, has lived in St. Louis her whole life. Hunter, a retired schoolteacher, taught third graders in both Normandy and Kirkwood. When she starts to tell stories, one quickly realizes that her life is like a history lesson on St. Louis. Her father worked for the Meyer Brothers Wholesale Drug Co. Her mother raised four children in a big, brick house in the Tower Grove South neighborhood of St. Louis. Back then, coal stoves were used for heating. Before homes had air conditioning, families would walk to the park with blankets and sleep outside if it was too hot to sleep indoors. 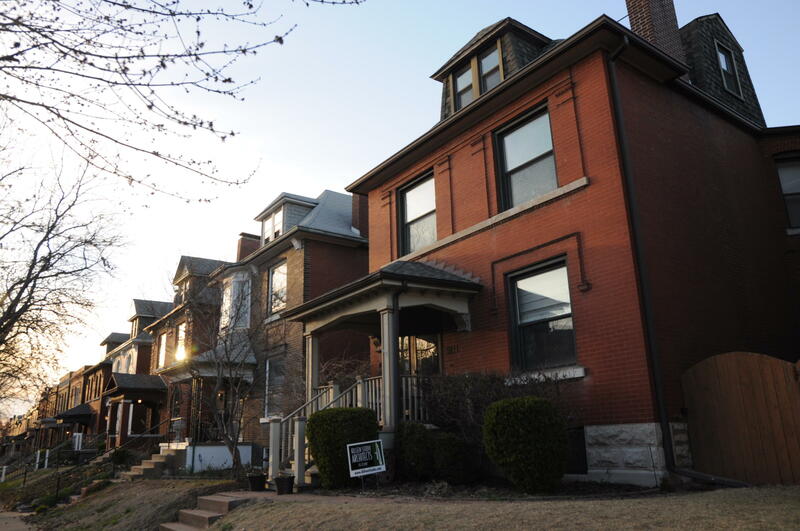 Dorothy Hunter grew up in this red brick house, built in 1905, in the Tower Grove South neighborhood of St. Louis. Today, it's occupied by another family. “I used to play tennis at 4 o’clock in the morning, with the only boys in the neighborhood who played tennis,” she laughed. Twice a week, she went to Tower Grove Park for turnverein — gymnastics classes that were popular among German immigrants. As a teenager, she walked to school at the now-closed Cleveland High, which was a relatively new building at the time. As a young woman, Hunter pursued degrees at Harris Teacher’s College (now Harris-Stowe State University) and Washington University. Those childhood memories also include harder times, like World War I. She met the man who was to become husband, Harry Hunter at a voice studio next to the Fox Theatre. The place was run by Thorwald Olsen, a “master of singing, builder of careers,” according to an ad in the St. Louis Post-Dispatch. “[Harry] loved music. I did, too,” Hunter said. The couple married in the early days of the Great Depression, on Jan. 4, 1930. They had a daughter Julie, who grew up to be a gifted musician who could hear a song and recreate it on piano. Over the course of her career, Hunter would help raise thousands of other people’s children, too, as they passed through her third-grade classroom. 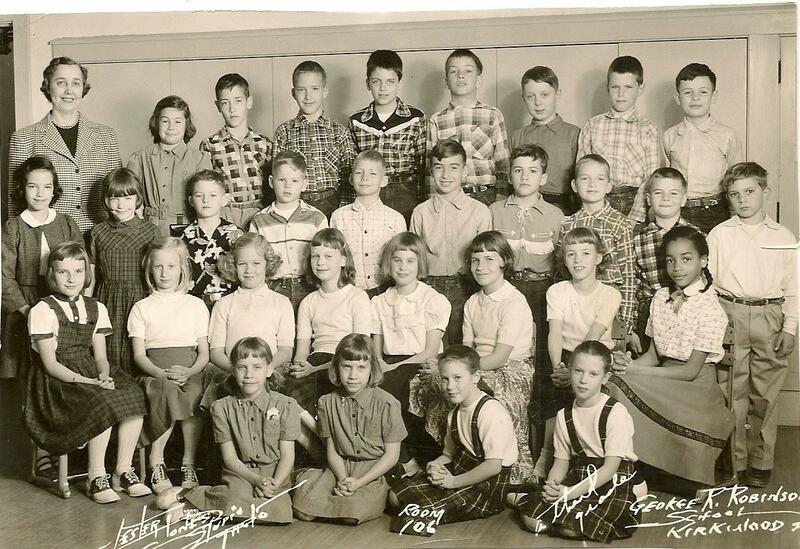 Dorothy Hunter's third grade class at Kirkwood's Robinson School, 1955. One little boy in particular gave her a bit of trouble. “I think what he had called me was, ‘you’re nothing but an old grey-haired baboon.’ And the only thing I could do was laugh at the effrontery of this twerp!” she said. All her life, Hunter has maintained a passion for sewing, travel and cooking. A long-held Sunday tradition was to invite friends over for elaborate meals. Hunter paused before answering a question about her favorite thing to make, as if considering whether it was proper to share. After all, questions asked of older, healthy people about their diet and habits are frequently studied by those hoping to live just as long. “Pie,” she finally said, smiling demurely. "Any kind." 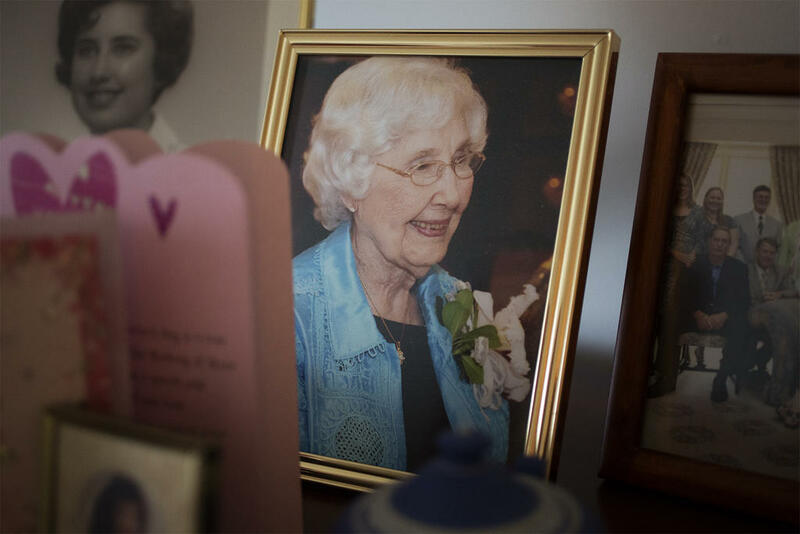 A photograph of Dorothy Hunter on her 100th birthday sits among cards and family heirlooms at her home in Ballwin.